Re:Views Magazine | Magazine created by students of the Department of English and American Studies at Masaryk University. Picture courtesy of Lee Junsu. 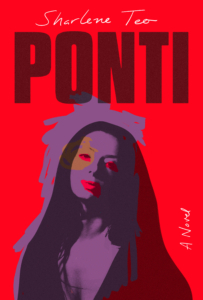 The cover of Ponti published by Simon & Schuster, photo credit: Simon & Schuster. Picture courtesy of Sharlene Teo. 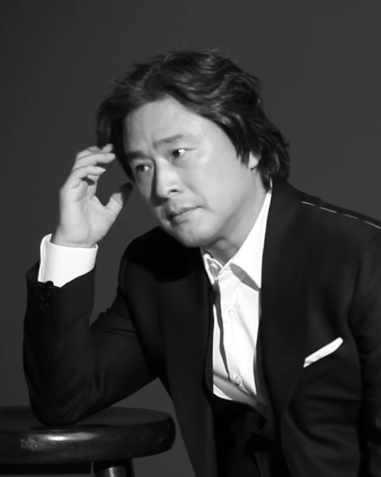 Park Chan-wook, Marie Claire Korea, YouTube, CC BY 4.0. Stoker, a 2013 psychological thriller drama film, is the English-language debut of South Korean film director, screenwriter and producer Park Chan-wook. The narrative depicts the unsettling coming of age story of a young woman repressed by her dysfunctional family. Chan-wook is praised as one of the most renowned and favoured filmmakers in South Korea and has also been gradually gaining popularity worldwide. In interviews, he lists both Western and Asian filmmakers as his figures of influence, for instance the Korean producer Ki-duk Kim and the Japanese director Akira Kurosawa. As Kurt Osenlund discovered when interviewing Chan-wook, Stoker was influenced by Alfred Hitchcock’s Shadow of Doubt. 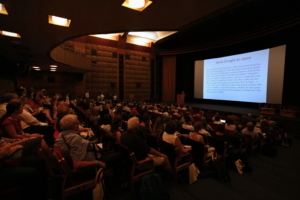 Anne Fogarty’s plenary lecture in Scala. Photo credit: Eva Růžičková. 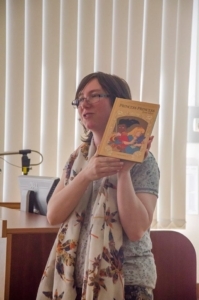 Rachel’s lecture on LGBT children’s literature. Photo credit: English Students’ Club. About two years ago I met an American who told me I bear a resemblance to Miranda July. At that time I did not know who she was so I asked him about her, thinking her label would be something like: a writer, a filmmaker, a politician etc. He seemed quite surprised by my lack of knowledge about the woman in question, and he quickly went on: “She’s a feminist artist”. I started to wonder, what does it mean to be a “feminist artist” in our age? Does this imply that they have to call out gender issues in their work? Does not mentioning gender issues make other female (or male) authors non-feminist? Do they have to be some kind of a spokespeople for women’s rights in the media? Is it about the female representation in their work? What the guy probably meant was “she’s a feminist and an artist”. But usually people would just say “she’s an artist”, unless a person is known for their activism. So who is Miranda July? Me and my CEFT guardian angel Lynette in front of the Kyle Field football stadium before my very first Aggie football game. I thought that since this is supposed to be a letter, I would treat it as one and address y’all properly. I have only been in College Station for a couple of months and it feels like I have been here for years. Yet – even though I have been burned by the Texan sun, soaked through by the Texan rain, licked by Texan dogs, fed Texan kolaches, and learned Texan slang… I do not believe I will ever stop feeling strange about being on a different continent, almost 9.000 kilometers away from Brno. Let me start from the beginning, though; who am I and what am I doing in Texas? 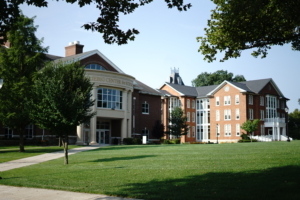 My name is Tereza and I am currently in the PhD program (Literatures in English) at the Department of English and American Studies, MUNI. 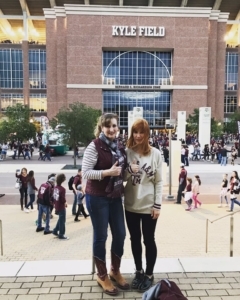 I have been given the opportunity to relocate to Texas for a year and attend the MA in English program at Texas A&M through the William J. Hlavinka Fellowship at Texas A&M University in order to experience American culture and interact with the local Czech Texan community. If you try and search Milan Kundera in relation to America in Google, the same paragraph repeats itself in different articles. What originates in writings of New York Times and seems to be widely agreed upon: “In the 1980’s, Milan Kundera has done for his native Czechoslovakia what Gabriel Garcia Marquez did for Latin America in the 1960’s and Aleksandr Solzhenitsyn did for Russia in the 1970’s. He has brought Eastern Europe to the attention of the Western reading public, and he has done so with insights that are universal in their appeal.” Most American newspapers praise the author’s writing and are deeply intrigued by his approach to story-telling in his novels. However, since his book The Unbearable Lightness of Being was published in English, his appeal to US readers led to what could be described as a natural consequence of consecutive events: they decided to adapt his book into a movie.